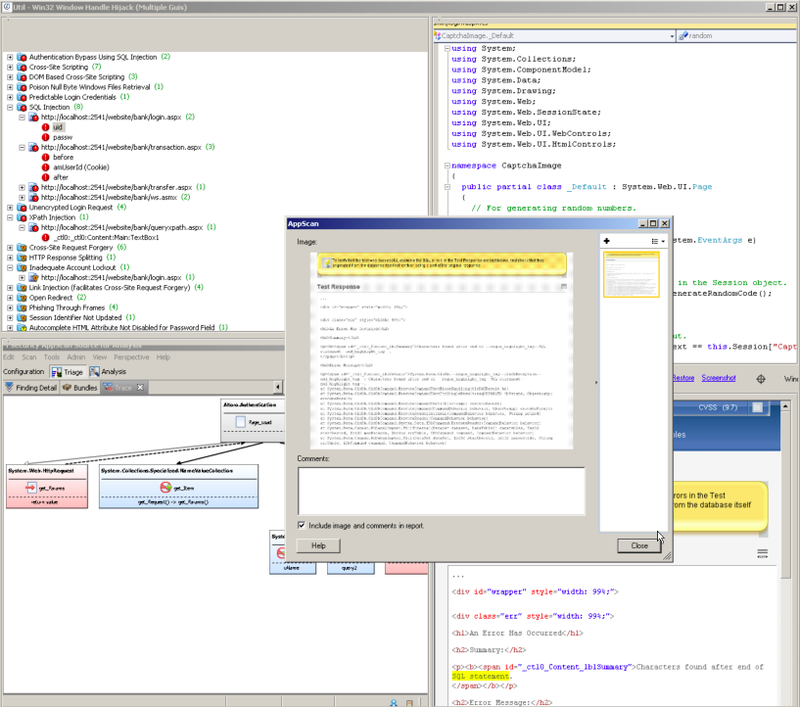 Here are some cool screenshots sent to me by an O2 user, that used the technique shown in Using a .Net/CLR, a Java/JVM and a C++ Window in another process (to show consolidated security findings) to create a GUI, where windows from AppScan Standard (.Net app), AppScan Source (Java app) and VisualStudio (C++/.NET/WPF app) are shown side by-by-side (fully functional) in an external process. 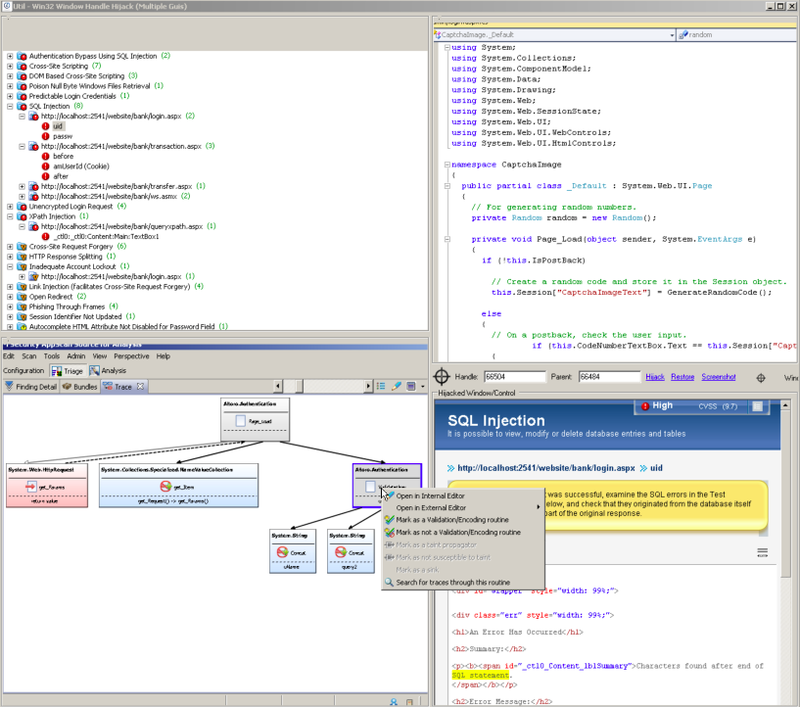 The Development and Deployment environment for the application. 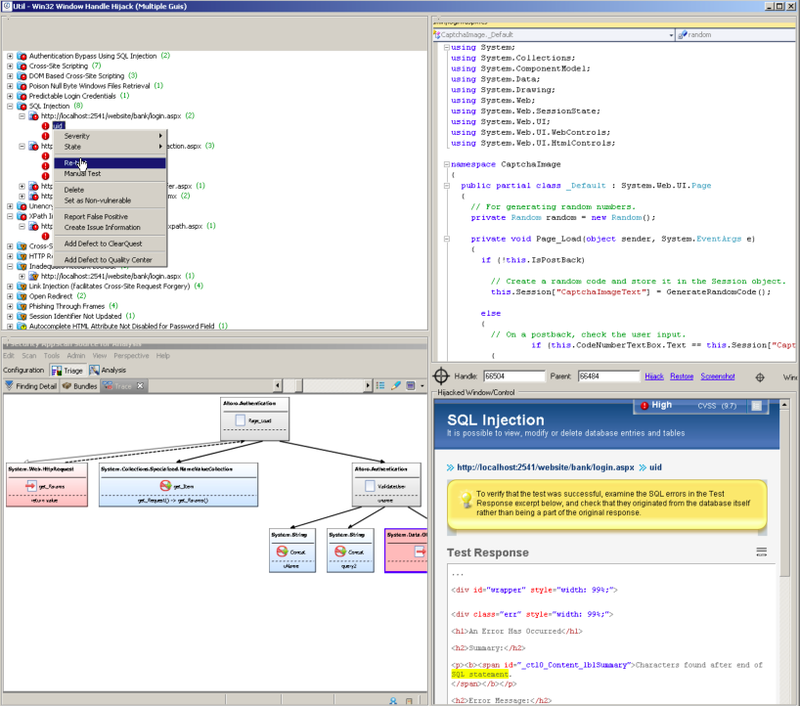 Dynamic and Static scans of the application. 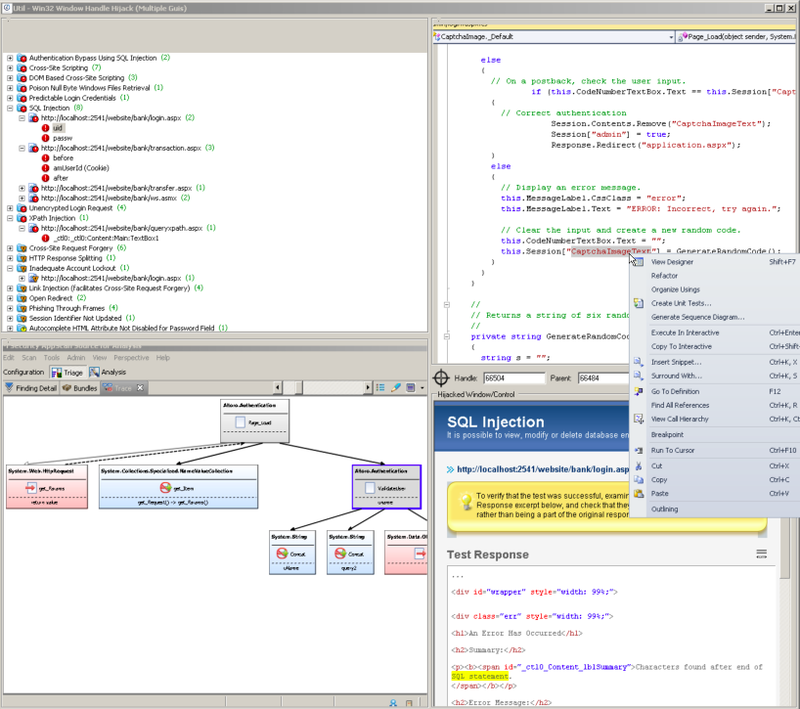 Tools to browse visually all the relevant configuration information. The ability to script Rules and WAFLs, scans and results for each of the Engines. Ways to create FindingPacks containing all the relevant information for a particular correlated set of results to send to a developer.